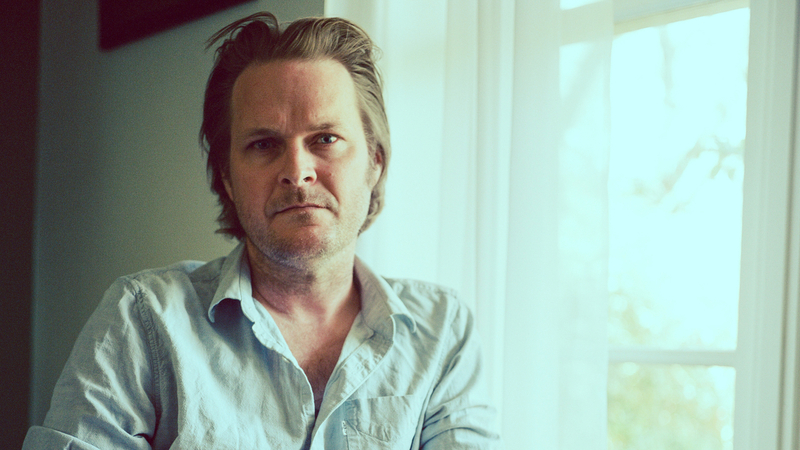 Hear Hiss Golden Messenger's Tender 'Standing In The Doorway' M.C. Taylor has a rueful, weary reediness that makes the tensions in his songs pull that much harder. In a beautiful outtake from Heart Like A Levee, dreaming and reality are at odds. M.C. Taylor has one of rock's most naturally self-flagellating voices — a rueful, weary reediness that makes the tensions in his songs pull that much harder. On last year's Heart Like A Levee, Taylor's sixth album as Hiss Golden Messenger, it was the tussle between family life and the road; on "Standing In The Doorway," a beautiful outtake from that record, it's dreaming and reality that are at odds. Taylor's impatience with himself comes out in his band's burnished clip, coupled with his appeals to a level-headed partner to reign in his more fanciful tendencies. As brisk as it is, there's a tenderness to "Doorway" that recalls "Devotion," a HGM standout from 2013's Haw — after all, part of long-lasting love is having the stability to call one another on your BS. "I think I was trying to understand if and whether luck was related to my life at the time," Taylor tells NPR. "I always liked this tune, but it didn't seem to fit the emotional arc of [Heart Like A Levee] for some reason. It also seemed like it could survive on its own, away from other songs that might give it context." He acknowledges the many changes in the world since Heart Like A Levee arrived, one month prior to the last U.S. presidential election; in the meantime, Hiss Golden Messenger has kept working, and recently debuted almost an entire set of new material at Durham, N.C., venue The Pinhook. "I'm currently writing this from the studio where we're working on our next record," says Taylor, "and trying to live in this world with some kind of light." "Standing In The Doorway" is out now. Hiss Golden Messenger will be on tour this summer and fall.